What do you know about William Rufus? 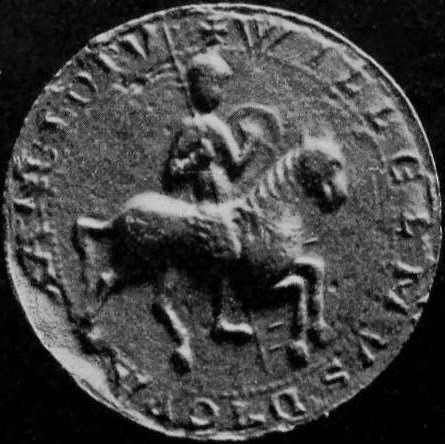 William Rufus was the son of William the Conqueror, and succeeded him as king. Third son of William the Conqueror, he was never expected to rule. He ruled England and his brother Robert Curthose inherited the dukedom of Normandy. He was rough, outrageous and immoral, and probably bisexual. He dressed like a dandy and grew his red hair long down his back like a woman's. His red hair earned him the nickname 'Rufus'. In memory of his father he raised a costly monument in gold and silver studded with jewels. When he moved from place to place with his huge entourage they stripped the countryside of food and wagons, and raped and pillaged like it was enemy territory. When he was 33 he became dangerously ill and thought he was dying. He confessed his sins and promised to change for the better. He got better and forgot it all. One day he went out to shoot game, and was struck in the heart by an arrow, dying instantly. It was speculated that a hunting death a few months before had given assassins the idea, but it was never proven. 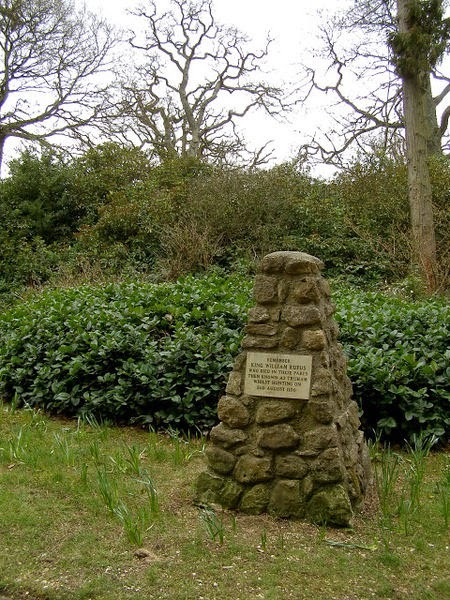 The plaque on this monument reads: "Remember King William Rufus who died in these parts then known as Truham whilst hunting on 2nd August 1100"